BROADVIEW, IL. August 17, 2015 –Matt Kenseth skillfully maneuvered his Bosch-equipped No. 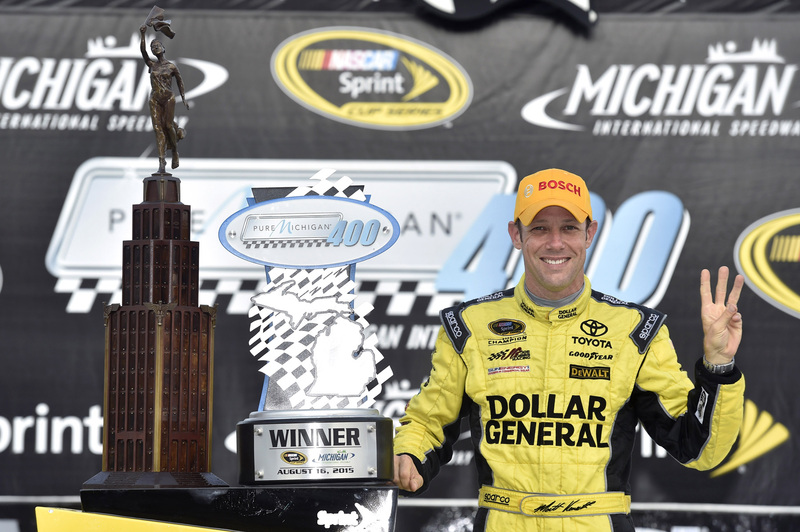 20 Dollar General Toyota to Victory Lane in Michigan on Sunday, dominating the NASCAR® Sprint Cup SeriesTM Race. In recognition of the victory, Bosch Aftermarket NA is making another $1,000 contribution – the third of the 2015 season – to Motor Racing Outreach. Motor Racing Outreach works to support the motorsport community so that they may enjoy a more wholesome life together, and in turn, become good role models for millions of motorsport fans around the world. Originally founded in 1988 to serve the NASCAR Sprint Cup racing community, MRO has evolved over the years to serve other forms of motorsports such as motorcycle and powerboat racing. A faith-based organization, MRO’s mission includes introducing the racing community to a personal faith in Christ, encouraging active involvement in the church, understanding God’s word and assisting in the development of leadership skills. So far in the 2015 NASCAR Sprint Cup season, Bosch-supported teams have won nineteen races, earning a total Bosch contribution of $19,000 to driver and team charities.